About Bustros’sElias (Elie) Bustros, an antiquities dealer in Beirut, Lebanon. 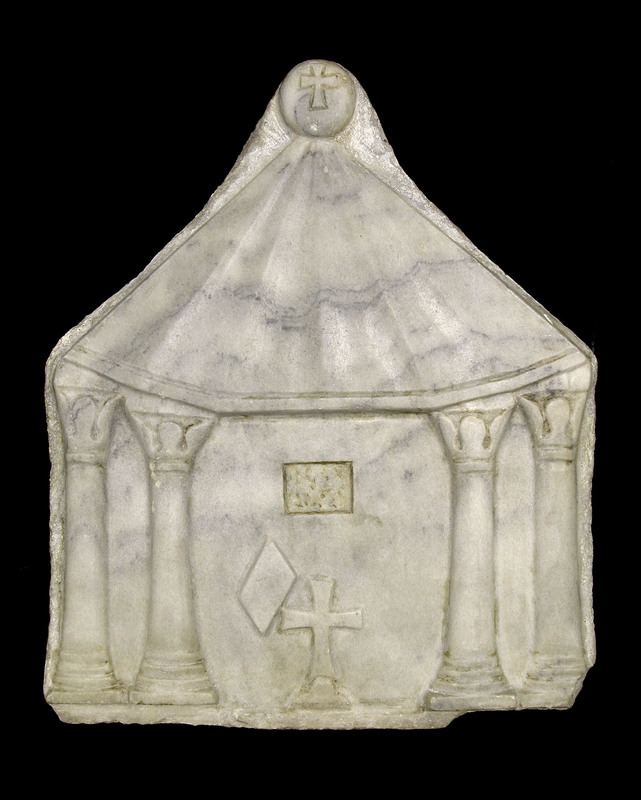 little marble tabernacle,BZ.1938.56. you may perhaps prefer, in case you wish to have the object, that Bustros should not know that it is going to you. Your name is pretty widely known by now, and you may prefer that Bustros should not realize that he is in touch with you. In this case, always supposing that you want the tabernacle, you might have it shipped either to some other address in the U.S., or if you think it is better not ever to mention the U.S. to Bustros, have it shipped to de la RancherayeDe La Rancheraye et Cie., a shipping company in Paris. in Paris, whom we can then instruct to forward it to you. Le cas échéant,“If appropriate.” you will let me know what you want done.